The millions of people who visit Yosemite Valley each year see the place in many different ways. When they gaze at the 3,000-foot face of El Capitan, many visitors open their mouths in awe. Elite climbers think, "I want to conquer that wall." Geologists think, "I want to study that outcrop." 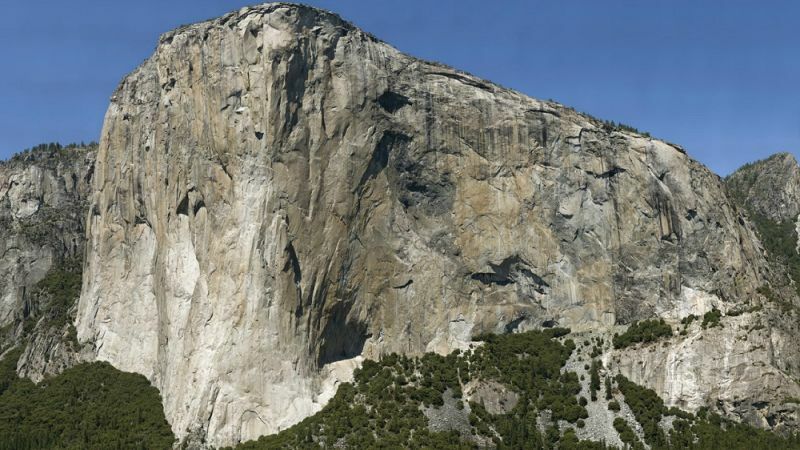 Now geologists have mapped the rocks of El Capitan's vertical face using a combination of high-tech and high climbing. The research, published this month in the journal Geosphere, was not just a great stunt, but also an attempt to help solve the deep scientific problem of how granite is made. Yosemite Valley cuts deeply into the great bodies of granite, called plutons, that make up the core of the Sierra Nevada. El Capitan offers a particularly thick and clean slice into these plutons, offering much more detail than drill holes can provide. Over the years, the valley has been a laboratory for cutting-edge techniques in geology. It helps that Greg Stock, the park's chief geologist, is a rock-climber himself. One of Stock's first ideas was the Yosemite Panoramic Imaging Project. On May 31, 2008, twenty teams of photographers snapped the high rock walls of the valley with high-resolution cameras. The images were then rendered into a gigantic 3D computer model that can be explored online, much like a Gigapan image. 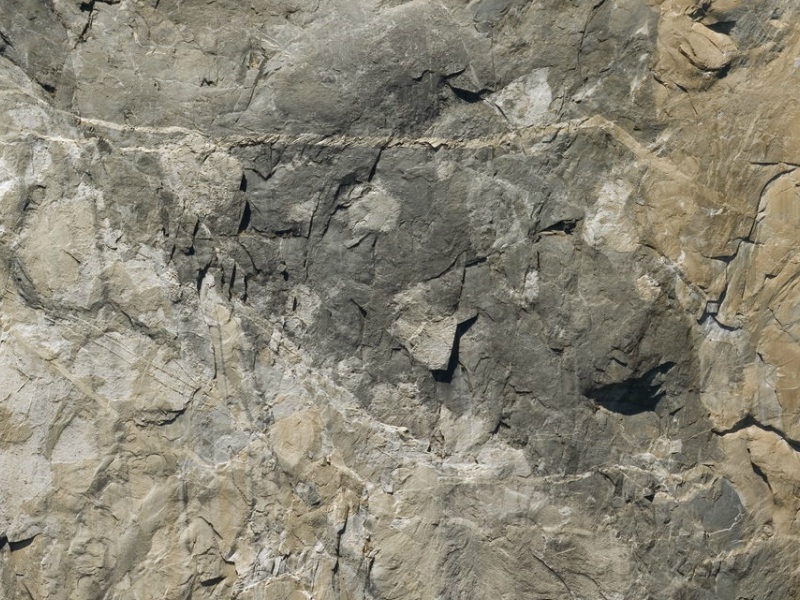 The first use of the Yosemite Panorama was to keep track of rock falls. More than 1,000 significant rock falls have been reported in the valley since 1857, and Stock says most rock falls aren't even reported. Other users of the Panorama have included climbers planning routes and rescuers planning rescues. But geologists need more than just the Panorama's pictures; they need close-up contact with rocks, plus samples of them to analyze in the lab. El Capitan is a good target for geologists using the Panorama because climbers can access it through dozens of routes they've pioneered on its cliffs. Geologist Roger Putnam of the University of North Carolina enlisted the help of climbers to collect rock samples and take close-up photos. Putnam and five coauthors determined that the granite dates from around 100 million years ago, when it first solidified from a molten state. They worked out a history spanning some three million years, during which the rocks of El Capitan rose in the form of plutons in eight separate events. At that time the pluton was many miles deep underground, part of a system feeding lava upward to a great chain of volcanoes. The volcanoes were comparable to today's Cascade Range, but erosion since that time has erased their traces, leaving only their deep granite roots exposed in Yosemite. This research tells us something new about the nature of plutons. One school of thought holds that plutons are large liquid bodies that allow large mineral crystals to settle out like meatballs in stew. Another school argues that plutons behave more like concrete, with the solidifying magma trapping everything in pretty much the state it arrived. 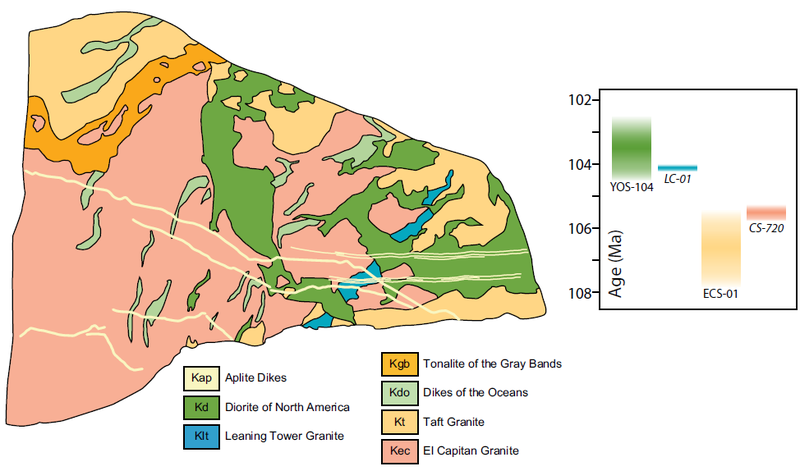 Putnam's group concludes that the concrete model is a better fit for Yosemite's plutons.